The couple shares kids Carmen, 5, Rafael, 3, Leonardo, 2, and Romeo Baldwin, 10 months. Alec Baldwin and wife Hilaria Thomas Baldwin attend 2016 Fragrance Foundation Awards at Alice Tully Hall at Lincoln Center on June 7, 2016 in New York City. 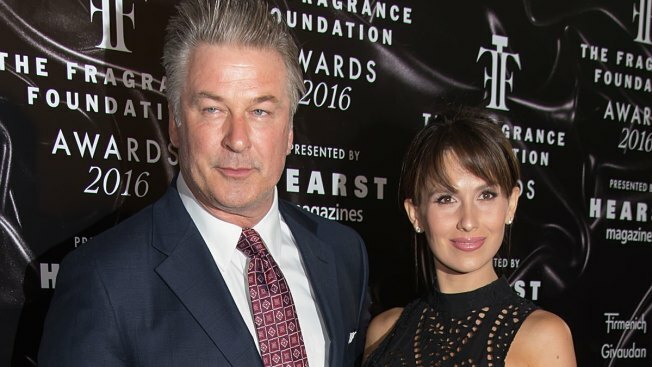 Hilaria Baldwin is sharing a deeply personal message with her social media followers. Thursday morning, the author and Mom Brain co-host took to Instagram to reveal that she is "most likely experiencing a miscarriage." Baldwin, who has been married to Alec Baldwin since 2012, gave birth to her fourth child with the actor in May 2018. "I always promised myself that if I were to get pregnant again, I would share the news with you guys pretty early, even if that means suffering a public loss," Baldwin, 35, wrote alongside a photo of herself cradling her stomach. "I have always been so open with you all about my family, fitness, pregnancies...and I don't want to keep this from you, just because it isn't as positive and shiny as the rest." "I think it's important to show the truth...because my job is to help people by being real and open," she continued. "Furthermore, I have no shame or embarrassment with this experience. I want to be a part of the effort to normalize miscarriage and remove the stigma from it. There is so much secrecy during the first trimester. This works for some, but I personally find it to be exhausting. I'm nauseous, tired, my body is changing. And I have to pretend that everything is just fine--and it truly isn't. I don't want to have to pretend anymore. I hope you understand." Baldwin went on to tell her followers, "So, this is what is going on now: the embryo has a heartbeat, but it isn't strong, and the baby isn't growing very much. So we wait--and this is hard. So much uncertainty...but the chances are very, very small that this is a viable pregnancy. I have complete confidence that my family and I will get through this, even if the journey is difficult." She concluded her post by saying she is "so blessed" to have her doctor, her friends and family. "My husband and my four very healthy babies help me keep it together and have the perspective of how truly beautiful life is, even when it occasionally seems ugly," Hilaria wrote. "The luck and gratitude I feel that I am my babies' mommy, is wonderfully overwhelming and comforting. In your comments, please be kind. I'm feeling a bit fragile and I need support. I'm hoping, that by sharing this, I can contribute to raising awareness about this sensitive topic." The couple shares children Carmen, 5, Rafael, 3, Leonardo, 2, and Romeo Baldwin, 10 months. Alec also shares daughter Ireland Baldwin, 23, with his ex, Kim Basinger.